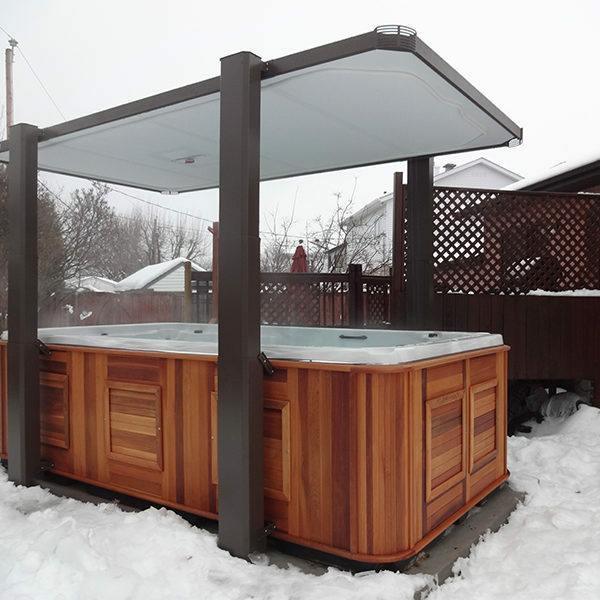 With the Covana LEGEND, your swim spa will be more accessible and easier to use than ever! In almost any weather condition, the cover can be retracted with the simple turn of a key and after only a few seconds, you can dive in and enjoy it without ever having to struggle with a cumbersome cover (It’s fully automated!). 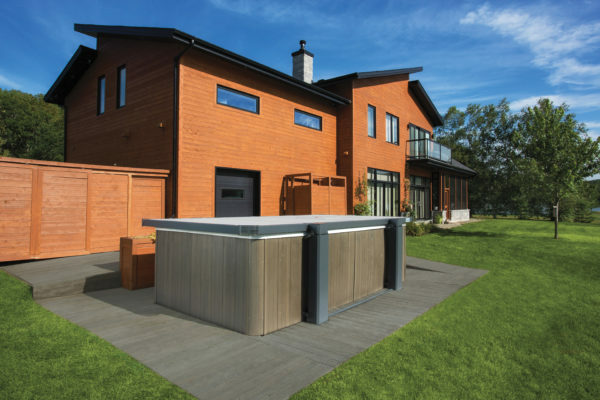 When closed, this robust cover, with a far higher insulation value than more traditional hot tub covers, provides unequaled protection while preventing undesirable access to children, animals and intruders. 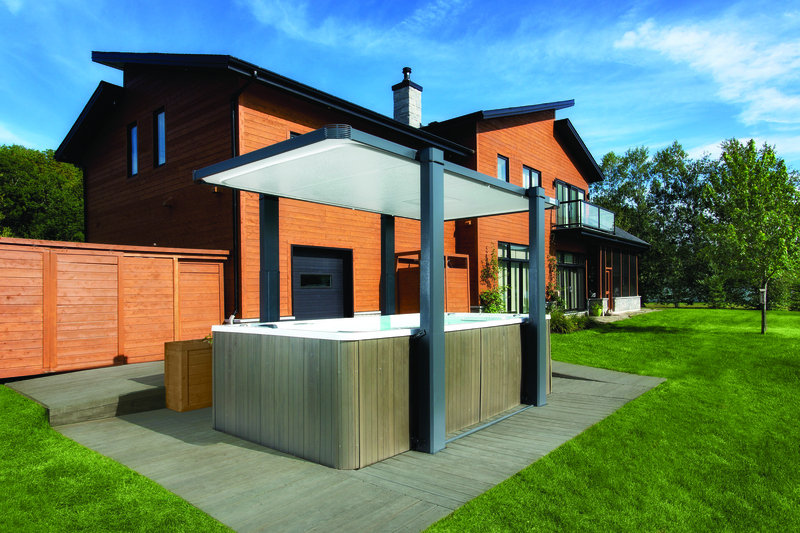 Once opened, its roof will protect you from bad weather conditions and the solidity of its design will ensure your peace of mind, regardless of how bad the conditions are. 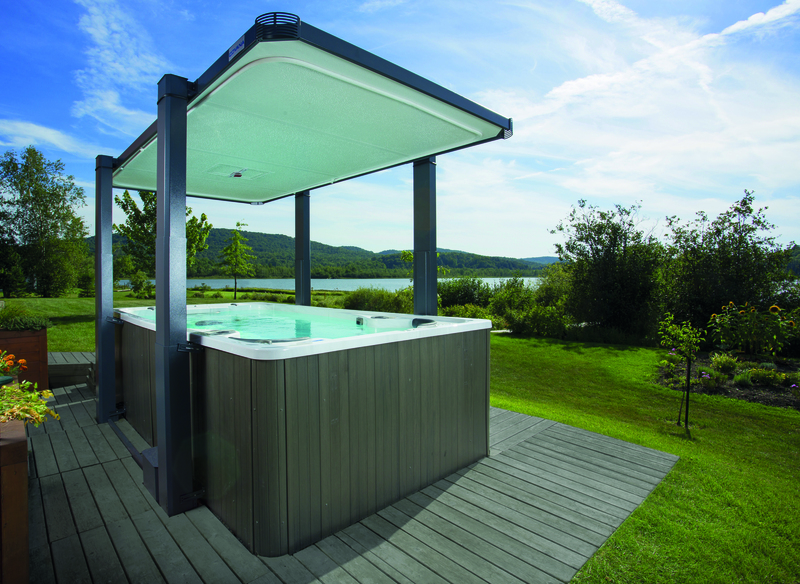 In addition, its flexible design makes it ideal for both oval and rectangular swim spas.